Fly, India, fly – like a kite in the sky – Go India, go future! Have you ever thought about what could be achievable if we used all the energy that appears in days like today in Ahmedabad in India? Today a hundred thousands of people celebrated the kite festival on the top of the roofs… independent from age, nationality, income, culture or religions. It was a fantastic atmosphere and everybody participated. Even the older people climbed up the partly very steep stairs and sat on the roof. On the havelis in old Ahmedabad families and friends had a lot of fun, ate together, talked and friends brought friends of friends…with the idea to cover the sky with kites and to enjoy the day. There is an amazing ‘power in the air’ and dedication of mostly all to make this day here a special day. 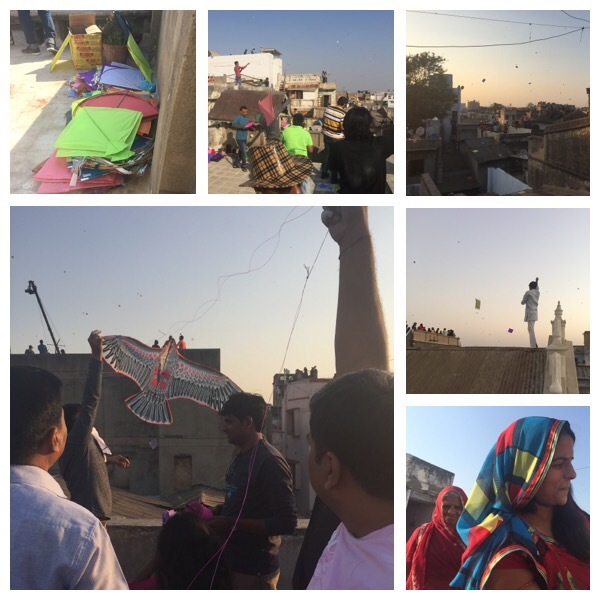 Without doubt, the kite festival in Ahmedabad is very special. I’m pretty sure if one day we can find a way to get this positive energy across the world, India and the rest of the world could really ‘fly’ towards a better tomorrow. Want to feel the atmosphere? Next Post Is your social enterprise just social without enterprise?